what do our parents say about gcfs? My name is Dr. Agni Raj Koirala and my wife’s name is Prabha Bhatta and we are blessed with two kids (one Daughter and one son). We are from Nepal, and living in Korea since 2008, it’s almost 11 years in Korea. 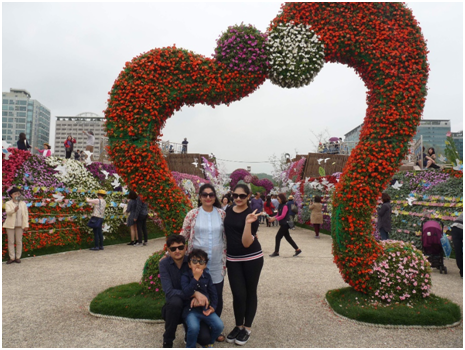 Our daughter’s Name is Nirjala Koirala who is studying in grade 9 at GCFS and son’s name is Om Koirala who is 7 years old and studying at Eunha Kindergarten, Seoul. We are a happy and blessed family. I am working at Sogang University as a research scientist and my wife is taking care of the family. Our research is mainly focused on the decrease in the carbondioxide concentration in the atmosphere and also converting the carbondioxide into fuel. The final goal of the research is to minimize the global warming and find an alternative renewable fuel. All the teachers and staff at GCFS are very co-operative, helpful and the school is devoted to provide good quality education as well as good manners to the students. The most important thing that I like about the GCFS is that the school is teaching students the value of life and making them realize their responsibility toward family and society. I am very delighted to write that my daughter is growing and becoming very mature and disciplined. The school is not only providing better education to the children, but also, they are seriously thinking about the future career of the students and this will positively make the parents become confident and proud of GCFS. I still remember the day I visited the school for my daughter’s education. During the very first visit, I became excited and happy to see how great the school environment was,how co-operative and helpful the school staff was and also how kind-hearted the principal was. My daughter studied up to grade 5 in Nepal and when she came to Korea her English skills were not very good, That was the worrying point for me. My requirements for a school was the small sized classroom, highly qualified smart, trained, co-operative academic staff, safe and healthy hygienic school environment. I found all these qualifications at GCFS and I am proud to acquaint that the school is treating our children as their own children and the staff are ready to bear the responsibility to make the student's future bright. I am thankful to the school from the bottom of my heart and my daughter is blessed to receive such a high-quality education at GCFS. I am always thankful to the entire family of GCFS and hope that they will continue to grow more like a big family in the upcoming years. Hello! My name is Yongjin Kim. After many years of living abroad in the states, I am currently serving as the lead pastor at Sungsan church in Bangbae since 2016. Our family consists of my lovely wife Sara, Julian who is a 2nd grader at GCFS and my 23 month old son June. In December of 2000, I married my wife and at the same time, moved to Springfield, Missouri to attend Assemblies of God Theological Seminary for my M.div program. After finishing my program and graduating, I thought I would be returning to Korea shortly after, but we ended up staying for another 13 years. While serving as an associate pastor and waiting to submit my thesis at Southwestern Theological Seminary Doctor of Ministry, God called us back and we returned to Korea. The reason why we love GCFS is simply the way Mrs.Chung the Chancellor and Ms. Song the Vice-principal exalts and enthrones our God and how that honor before God brings grace to us. For the teachers and staff, we do not see them as simply filling their job titles, but they are fully aware they are called by God and with that calling, they respond and teach with that posture. That is what moves us and continually displays grace for our family. Words cannot fully express what a blessing it is that my son leaves his parents care and receives love and care from teachers who truly love and fear God. i want to thank God who introduced and placed this school on my heart to recognize that the heart of this school is spiritual health and also there is excellence in academics as well. The biggest deciding factor of choosing a school was that it would be a school where teachers who taught my son would be educators that honor and worship God. Upon researching many different schools, we fell upon Global Christian Foreign School and felt strongly about this school being the right fit for our son. However, due to the move and many different adjustments in processing our transition, we put it in the back burner and forgot about the school. 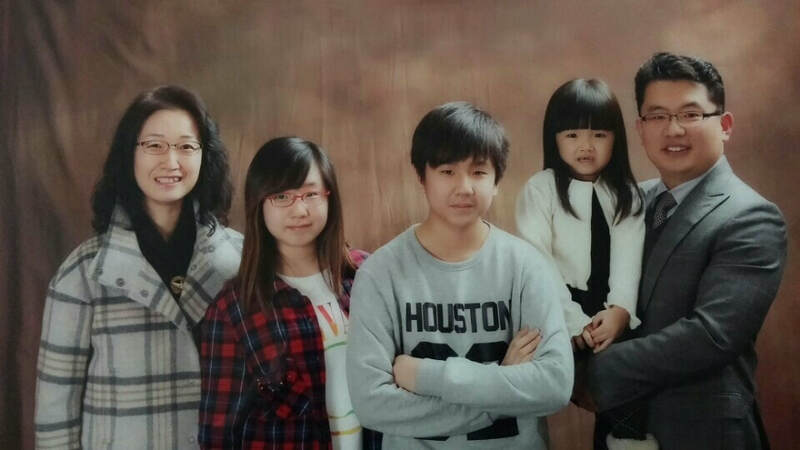 Once we finalized our transition and moved back to Korea, God placed GCFS back into our hearts and gave us a clear confirmation to send him to Kindergarten and begin his education. My hope and desire is that as days and years to come, there will be greater increase in size but also hearts that will receive God as they participate in Christian education at GCFS. My children love and enjoy school life at GCFS. That’s why I love GCFS so much. Especially, many teachers of GCFS are teaching sincerely with Biblical values. GCFS is so much more than just a community, but GCFS is like a family. It is a place where all students, teachers, and staff could all feel loved and accepted for who they are. Also, GCFS treats one another equally, loving each and every member of this family with respect, No matter if you're a teacher or a student, older or younger, everyone's opinions are greatly valued and appreciated. Lastly, not only is GCFS a loving and accepting community, GCFS is a family in Jesus Christ. I love how they encourage individuals to create and strengthen their bond with the Lord. My name is Rita and my Husband’s name is Sitakanta Chaudhury. We are parents to Aditri who is currently in Second grade. We all are born in India , the epitome of the worldJ. India is known for its vast cultural diversity and educational values throughout the world. Both me and my husband are IT professionals, majors in Electronics and Electrical Engineering respectively. He works for Samsung as a Technical Architect and myself currently on a break from last 6 months (Last 5 yrs. I was working as Project Manager with Expicient Inc.). We moved to Seoul in 2014 because of the opportunity for my husband in Samsung. Life has been very beautiful since then and the memories created so far is simply mesmerising & unforgettable. All the teachers and staff at GCFS are very down to earth people and make sure to give one on one attention to every kid in the school. As a parent I wanted my kid to develop both academically and spiritually with right values and thought process which she has got at GCFS very nicely. The character analysis done by them and the way they pave to correct those behaviour and bring out the best in a child is what I like about GCFS. Having spent my school days at a missionary school, I always wanted my child to also join a Christian school and learn the valuable preaching & worship of God. At GCFS, I see Aditri enjoying each and everyday and how happy she is always without any study pressure. I believe and have no doubt that she is under the best loving care from teachers and staff members. 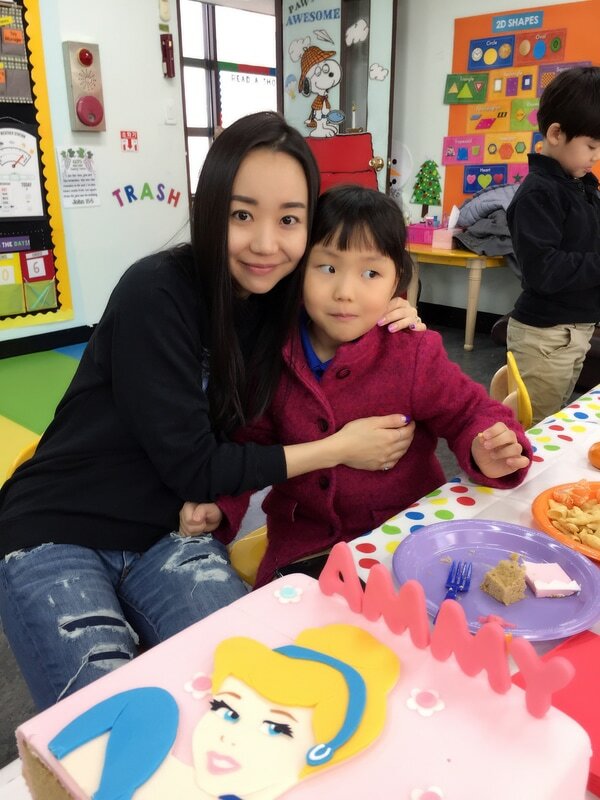 I want to add few words for Ms.Brummer , Ms.Kwon , Ms.Lee , Ms.Song who have influenced Aditri a lot and the way she has changed herself from what she was earlier and this is very overwhelming for me as a parent to watch her. I got reference of GCFS from one of my friend and after I visited the school I was sure that this is the best place for Aditri to be in if I want to see her grow academically and spiritually. When I was looking out for school, my requirement was of a class of small size , teacher giving 1x1 attention to the kid , safe environment , good academics , spiritual learnings with core values and most important discipline and I proudly say this GCFS is the right combination of all this. We feel blessed that Aditri has been receiving the best learnings from each and every person at GCFS everyday. We wish GCFS the very best in whatever they try to do for building a nation with right people and right education. ​Hello, my names are Rev Sunday Lawrence Umekwudo, I’m from Nigeria. 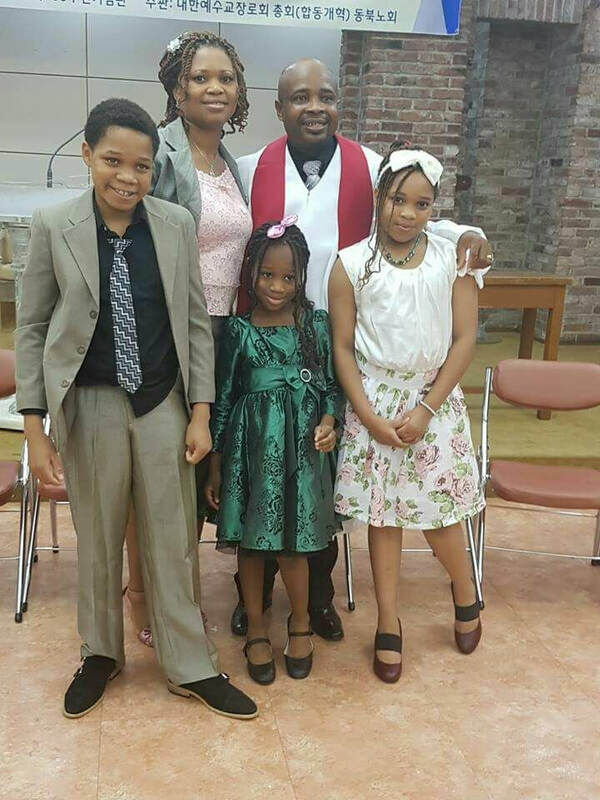 I’m married to a lovely lady by the name missionary Jane O. Umekwudo who is a computer scientist and we are blessed with 3 precious lovely children by God. I’m a Pastor with General Assembly of Presbyterian Church in Korea, working to spread the word of God and teaching men to obey and live by the rules and commandment of God by which we shall live and have a good success. Also helping the foreigners living in the community to understand better and obey the laws of their host community where they live, so as to become much better children of God who lives under His grace and mercy. My wife and I are parents of two GCFS students Precious and Nmachukwu. I love GLOBAL CHRISTIAN FOREIGN SCHOOL because it is a school that helps to equip children with great potentials and make their future rewarding and fulfilling according to God’s plan for them or for their lives. GCFS is a wonderful school where everyone is loved and cared for (where everyone is somebody). I decide to send my children to GLOBAL CHRISTIAN FOREIGN SCHOOL so that they will be better and Godly leaders of tomorrow and a good follower in any field of their lives and endeavors. As true children of God to lead with a good quality Christian example and also be God fearing. Hello. 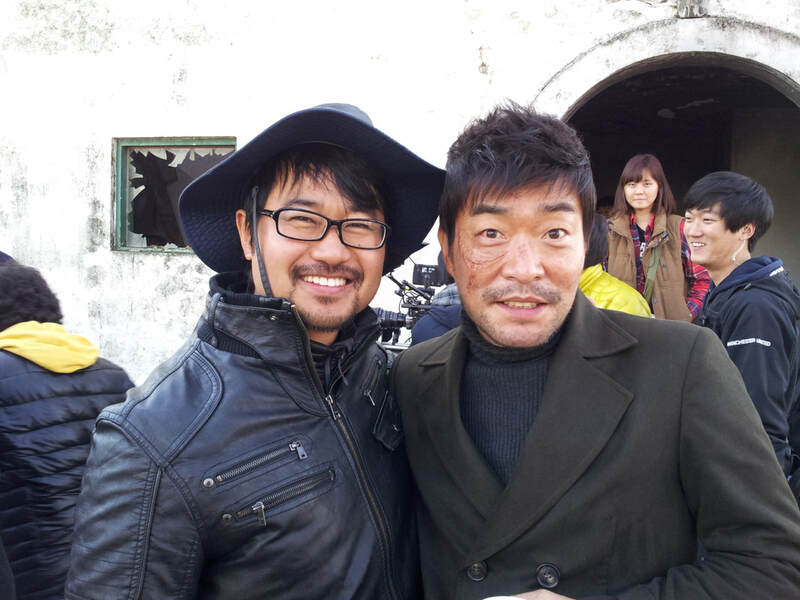 My name is Jang Cheol Soo and I’m a movie director. 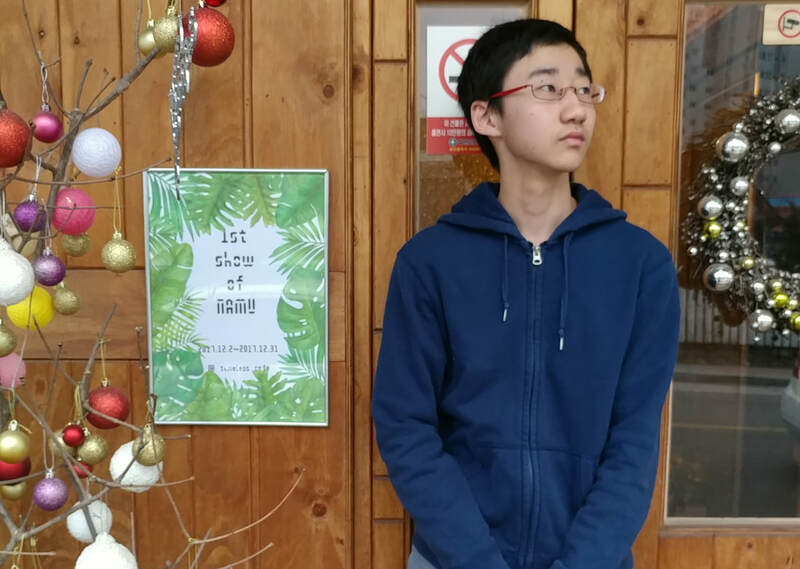 My son, Namu, is in the 10th grade at GCFS. They say that you can only love if you’ve been loved before. I want to go even further and say that you can’t receive love unless you’ve received it before. For children, I believe that being loved and knowing that they are loved is the most important thing. It’s what I believe will shape their identity as an adult who knows how to receive it and knows how to express it because they know how valuable love is. There are many things that I love about GCFS, but what I love the most is that it’s a school where you are loved. You are loved by the teachers and you are loved by your friends. It’s a place where you naturally learn how to receive love. Students who learn that kind of love can go anywhere in this world with confidence. This is what I’m most grateful for and why I am so proud of the fact that my son is a student at GCFS. Why did you send your student to GCFS? As stated above, there’s nothing I believe is more important than learning how to receive love. Just as a bird can’t fly by flapping just one wing, our children need that love and support from both their homes and their schools. Especially when they enter into the adolescent stage, they become more interested in their friends and finding their identity and place in this world, that the role that the school plays becomes so important. That’s why I decided to send my son to GCFS. From the beginning, the school was interested in who my son was and what he was going through. And instead of leaving his struggles and concerns to be dealt with at home and on his own, they were quick to accept and receive him for who he was. They didn’t rush to “fix” his problems, but from the beginning, they wanted to partner with him and with our family to walk through it together. They’ve been consistently showing us that they view my son as their own, and this is something I haven’t seen in any other school. GCFS isn’t just a school that has the word “Christian” in their name, but a school that lives up to it in both words and actions. What’s more, GCFS is a Christian school but it also places a very strong emphasis on academic excellence. I was fully impressed by how everyone on the staff, from the teachers to the Principal, were committed to this. The teachers at GCFS are young, passionate, and well-trained and skilled in their teachings. The small student-to-teacher ratio allows for students to receive the best kind of education, almost like a 1:1 tutoring session. Seeing that the teachers at GCFS have that rare combination of having both ability and affinity, I was confident that this is where I wanted my son to be. Words cannot express how grateful I am for GCFS. My son no longer needs to be tutored outside of school and he’s made so much progress in his academics. But more than that, he’s become a much happier kid. He’s brighter, and he’s become more comfortable about expressing his emotions, which has been fueling his desire to pursue the arts in college. It’s one of the best decisions I’ve made for my child and all I can say is, “Thank you,” to GCFS. Hello My name is Rebecca Yoo and I have 2 wonderful daughters. I currently send my second and youngest daughter to GCFS who is in the 4th grade class. ​What was the deciding factor for you to send your child to this school? I love GCFS because my child is learning Christian values based on God and the work of Jesus Christ. Through your mentoring, I believe that my child will eventually learn the most important value which she must not forget throughout her life. I believe when it comes to Christian values there is no compromise. And GCFS follows the same value. . I had been praying for God's guidance that suits my child to attend school. When I first entered the gate of GCFS, I felt peace of mind. I felt even stronger after speaking with the principle, Mrs. Song and made me to think that this is God's direction. And the location is very close from my house. Hello. My name is Manabu Yoshihara and I’m Makoto’s father who is currently a senior at GCFS. I am currently a pastor at Onnuri Japanese ministry. I grew up in a Christian family and I am a third generation Christian which is rare in Japan. Although, I was raised up under Christian parents, I turned away from God when I left my hometown (Tokushima) for my college (Tokyo). And I met my wife, Kaori there. I majored in art and worked in a construction company as an architect. In 1998, after the 8 years of my life without God, I had a spiritual experience and decided to devote myself to God. In the year 2000, I moved to Korea to study at a seminary, and I started to serve at Onnuri church. In 2006, I moved to Nagoya to serve at Nagoya Onnuri Church, and I came back to Korea again in 2015. 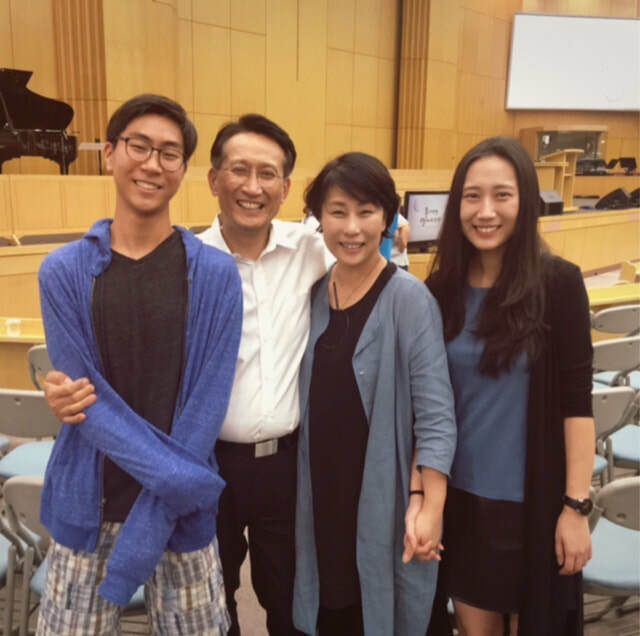 Now, as a pastor at Onnuri Japanese Ministry I’m serving for the Japanese people who live in Korea, and also Japanese churches through networks such as Love Sonata. I have decided to send Makoto to GCFS because all the teachers are Christians. They not only teach and raise the students with much care and attention but also with prayer.GCFS also has chapel time every week in the schedule which students and teachers all attend and devote their time to God. ​What do you love about GCFS? I want my children to have faith in God and also, I want my children to have God’s vision with international perspective, so GCFS was the perfect school for Makoto and why we love GCFS. ​​Hello my name Mame Jarso and my husband’s name is Ambassador Shiferaw Jarso. We have three daughters and one son- Ana being our last daughter. We are both born and raised in Ethiopia. My husband has served for the Ethiopian government for more than 35 years as a professional irrigation engineer. I have also engaged in different business when I was in Ethiopia While raising four children. We moved to South Korea because my husband got assigned as Ambassador of Ethiopia to South Korea. It has been about two years now and we are enjoying the experience of a new and beautiful culture. What was the deciding factor for you to send your child to this school? When I first heard that we were moving to South Korea. I started looking for a school that could be a good community for my daughter. I got a recommendation from other Ethiopians that lived in South Korea that GCFS is a great school. When I searched more about this school and I saw that it was a Christian school I was very happy and felt satisfied because we were a Christian family. So, I thought that my daughter could fit well into GCFS. The first day we came to visit this school we got a warm welcome from the principle and everyone else. We had to move in a short period of time. So, It was in the middle of Ana’s school year. We were not sure that we can find a right school for her in this short period of time. But with God's grace we were able to find GCFS. We love this school because; it has a strong academic structure. The students are small so it helps the teachers to engage with the each and every one of them. The teachers closely follow up on the students and give them their full attentive care. I always see my daughter active and participating in many school events. So, it is pleasing for me to see my daughter happily learn. After joining this school I have seen my daughter grow spiritually and in her faith in God. It is a safe environment where she could share who she is and learn about other cultures. Ever since Anna stepped in to this school she has gotten nothing but love and care from the teachers and staff members but most importantly it is a God loving community and puts God first. Hello GCFS!My name is Patricia and my husband's name is Michael. We are the parents of Cayden and Collette Cho. Michael and I both were raised in the west coast growing up in the States. We call Las Vegas our home since that is where we lived as a husband and wife and also started our family. Michael works for the Four Seasons hotel and oversees the Finance department and we had the privilege of moving to Seoul in 2015 as an opening member. I was in the hotel industry as well for about 15 years, but decided to be a full time MOM after our family started to move with the Four Seasons hotel. It has been almost 3 years since we've settled our lives in Seoul and I am grateful for all the memories so far. Hello, I am Jamie Cha and I am the mother of Christian, who is now a senior at GCFS. I tend to wear many hats but right now I work as an Education Pastor at Onnuri English Ministry and I also oversee women’s ministry. I am passionate about raising the next generation of believers through Christian Education and I’ve been doing Children’s ministry for almost thirty years. It was this value that led to our sending Christian to GCFS. I was easily impressed by the staff expressly dedicating themselves to God’s word, their strong desire to integrate a Biblical worldview into their curriculum, and how they are embodying Christ’s love in how they love their students. Hello my name is Eunnie Chae. I live with my daughter Tammy who attends Kindergarten at GCFS. I was born in Columbus, Ohio and went to elementary school in New Brunswick, Canada. Three of my four grandparents are from Pyongyang, North Korea and both my great great grandfather on my mother's side and my great grandfather on my father's side were elders at early churches in the North which makes me a fifth generation Christian in Korea. My family moved to Korea when I was 11, and I majored in Christian Studies at Ewha while living in Seoul. I worked in broadcasting at Arirang TV for ten years and for the past five years I have been a gym owner while raising my daughter. 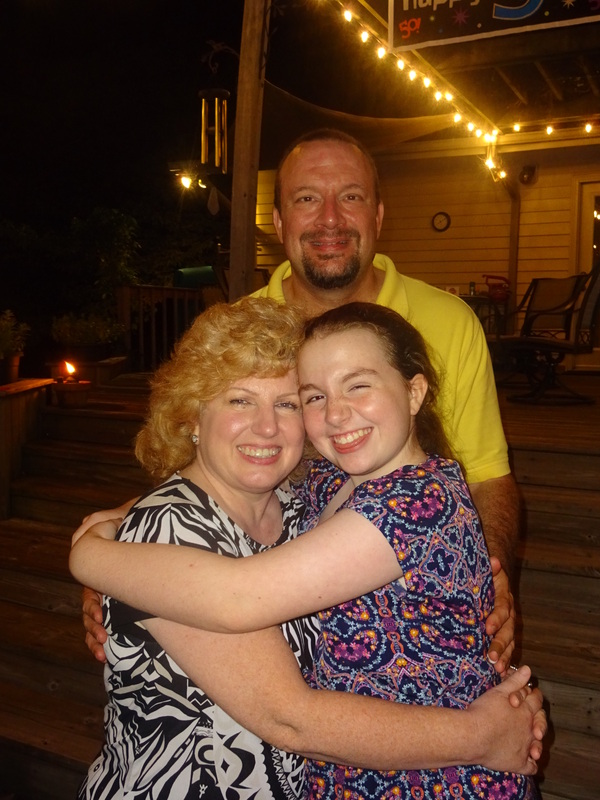 When I first visited GCFS, I immediately realized that it was the perfect school for my daughter, Tammy. It was a place where my child could be herself and feel comfortable while growing both spiritually and academically. After starting school last August, I have seen Tammy grow and change more than she ever has since she was born. It was amazing to witness the process of her adjusting to school, forming relationships with her teachers and friends and becoming more independent while learning to love and worship Jesus. I will never forget the love we received from Tammy's wonderful kindergarten teacher, Ms. Grace Kwon, and all the amazing teachers of GCFS. I thank God everyday for bringing us to GCFS. There are so many things I love about GCFS. First of all, the amazing and caring teachers who are dedicated to raising global Christian leaders. Secondly, GCFS has a unique set of characteristics; it is an environment both modern in teaching method yet traditional in core Christian values. The students are educated with an open approach and receive so much love and individual support. Lastly, I love the family environment provided by the school, for both the students and the parents. I will forever be grateful for all the care we have received, and thank God for allowing us to be part of the GCFS family. Junghun is a proud dad of Grace (student at GCFS) and Anna and husband of Kyonghee. 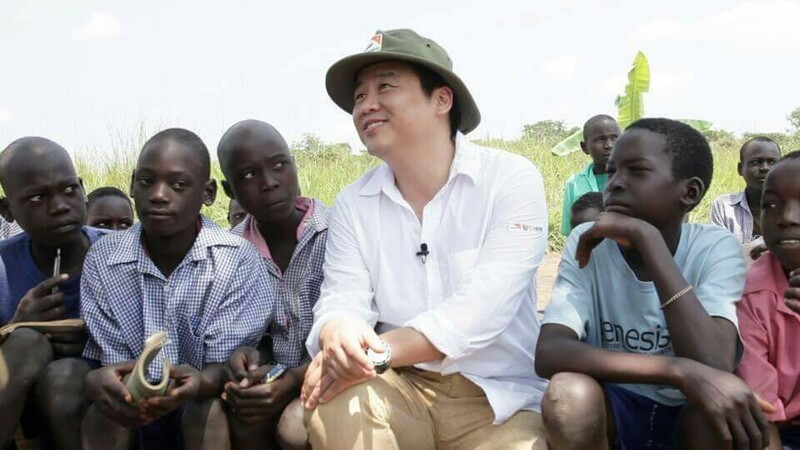 Junghun has worked for World Bank, an international organization devoted for the world economic development and poverty reduction, for the last 15 years. Among others, he worked for impendence negotiations between Kosovo and Serbia, on status settlements between Israel and Palestinian Authority, and assisted in providing national identification cards for 170 million people of Bangladesh. 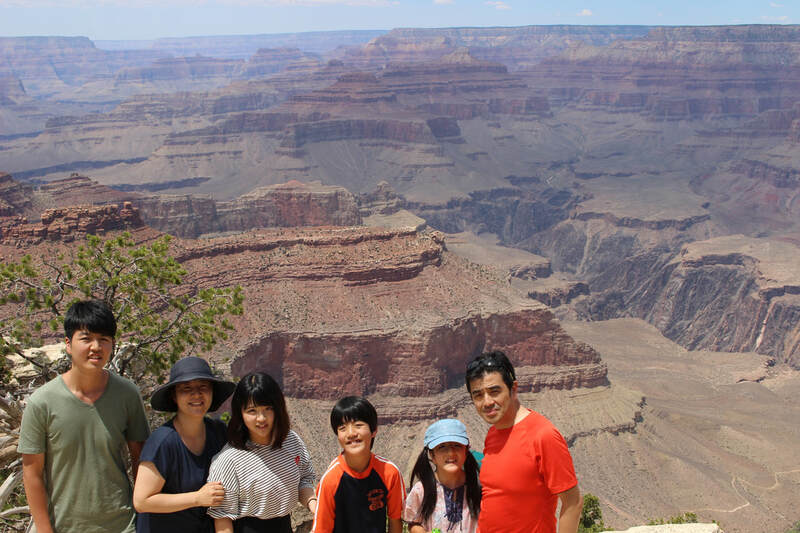 Due to his work, Junghun, along with his whole family, has been stationed in more than 5 countries, including Uzbekistan, Jerusalem, India, and Bangladesh. Our family consists of Grace and Anna, her 11-year-old sister. Kyonghee, my wife, is a soprano. Actually, Kyonghee is more than soprano; she herself composes songs that she sings. After returning back to Seoul last summer, Kyonghee has published her album with her own composing. Grace’s sister, Anna, is a very pleasant and curious girl. She loves reading of all kinds of books, learning Tae-Kwon-Do (she's currently a blue belt), and playing the piano. Thanks to living in a number of different countries, Anna speaks and reads English, Russian, and Korean fluently. But, more than anything else, our family is one that loves and tries to glorify God always. Faith is the foundation ofour family and all members pray and read scripture together on a regular basis. Grace is very fortunate to study at the GCFS. The fact that GCFS puts faith in Jesus Christ as solid foundation for education is what we firmly believe. Also, the size of school and classroom allows Grace to feel at home and express herself comfortably. We are so happy to observe that Grace has grown a lot in faith and in academic ways. She now loves to pray and reads the Bible on her own. Academically, Grace has made very impressive progress and we are certain that it is due to the hard and dedicated work by her teacher and the classroom size that allows for a very personalized learning schedule and process. We are very grateful to GCFS for these. 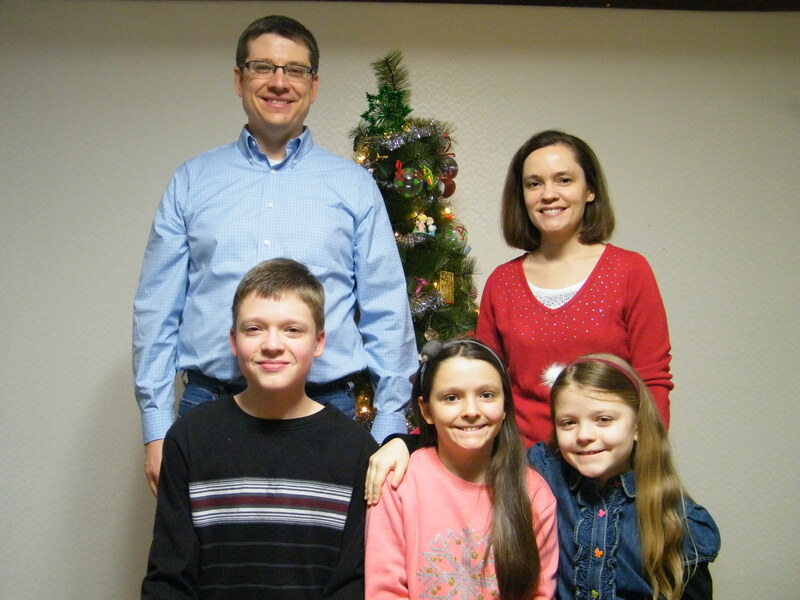 Melissia Dillmuth is the mother of three GCFS students, Caleb (9th), Emily (7th) and Annie (3rd). She is from the northeast corner of the United States, the state of Maine, specifically. 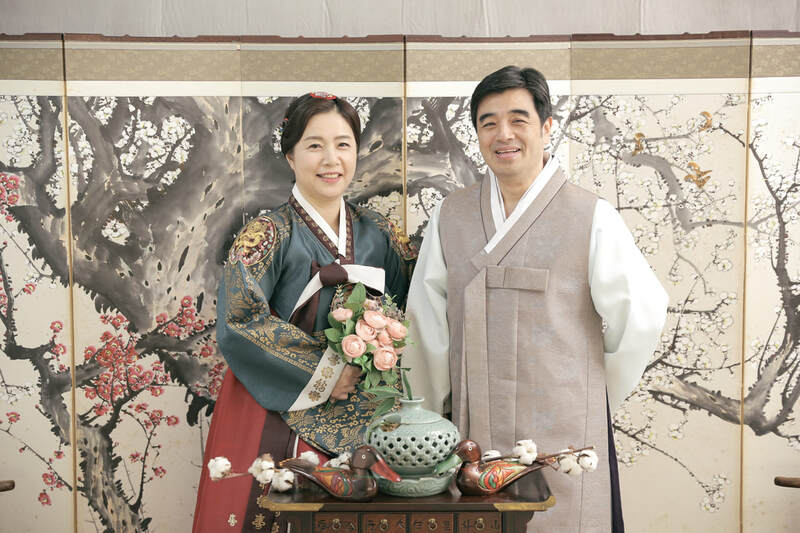 In 2012, she and her husband, Pastor Tim Dillmuth, moved to Colorado, U.S. to serve with the mission organization, Voice of the Martyrs Korea (VOMK). VOMK exists to serve and learn from the persecuted church around the world, with an emphasis on serving the North Korean underground church. 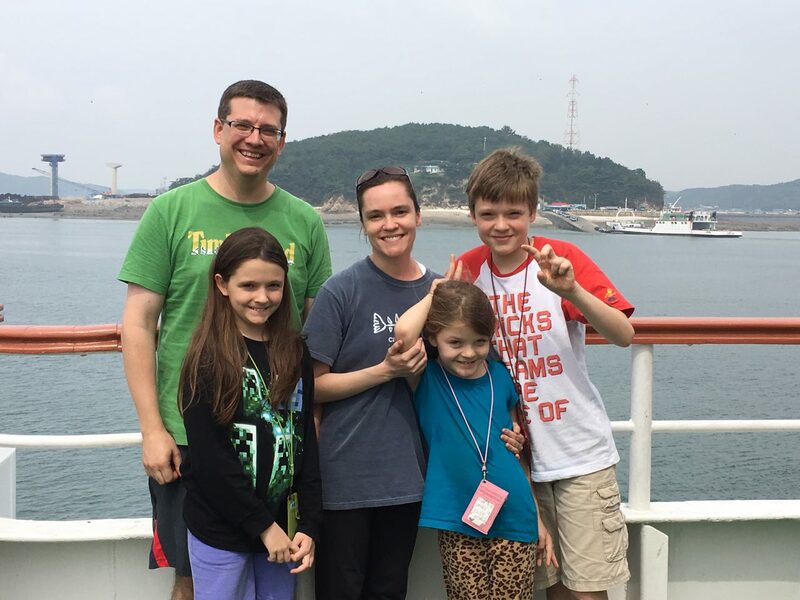 After serving in the Colorado office for three years, Melissia and Tim moved to Korea to continue their missionary service with VOMK at their office in Seoul in June, 2015. I gave my life to God at the age of five and even from that young age, I knew I wanted to serve the Lord in whatever he wanted me to do and wherever he wanted me to go. My desire was also confirmed when I went on a two-week mission trip to Russia when I was 18. I met my husband, Tim, in Bible college, and we having been serving the Lord in ministry ever since. We are honored to now serve as missionaries with Voice of the Martyrs Korea (www.vomkorea.kr) and we are enjoying learning how to speak Korean! From our very first visit with Chancellor Chung and Vice Principal Song, we could sense their heart and passion for GCFS. From that moment, we knew GCFS was the right school for our children. Since then, we have seen the GCFS leaders and teachers display selfless dedication to all the students. My three children have grown in so many ways, academically, spiritually and relationally, by attending GCFS. We like the smaller class sizes and appreciate the relationships that our children are able to form with their teachers. We are grateful for GCFS and consider it to be the best Christian school in Korea! Chris and Teresa Boyce are the parents of Sara Boyce who is an 8th grader at GCFS. Chris is from Washington D.C. and Teresa is from Goodlettsville, TN (near Nashville). God has called them to come to Korea in 2015 to start disciple-making movements and house churches among college students. Chris will begin teaching English at Korea Christian University in March of 2017. I (Chris) am from Washington D.C. and my wife, Teresa, is from Goodlettsville, TN (near Nashville). She grew up in a strong Christian family; I came to Jesus when I was 24 years old after 10 years of drugs, alcohol, and playing guitar in heavy metal bands. My life was so empty before I found Jesus that I contemplated suicide at 19. This all changed when a 70-year-old Christian widow reached out to me in 1990 from whom I was renting an apartment. She showed me love and eventually invited me to her church where I gave my life to Jesus in baptism in 1990. Not only has Jesus changed my life, but I have been off drugs and alcohol for 26 years and been in ministry now for 26 years. Teresa also was involved in ministry through the influence of her father at a young age that eventually brought her to Brazil to do mission work in 1983 and 1988-1990. I began working in prisons teaching men about Jesus from 1991-1994 and then from 1994-1998, worked in Mobile, AL with Inner City Ministry as an evangelist. Teresa was also involved with Nashville Inner City Ministry from 1990 - 2002 and this is how we met in 1996. We've have joined God working as missionaries in Tanzania (2002-2005), Brazil (2007-2011), and I worked as a pastor for a church in Tennessee (2011-2015). ​GCFS is different; it is family. Everyone (teachers, admin) truly care about Sara and her education, but what is even more important, is they care about her growing spiritually. That is what convinced us to send her there. We are always touched how the teachers commit EVERYTHING they do in prayer to God and they start and end the week in worship. They see GCFS as more than a school, but a ministry, a calling from God to prepare young people academically and spiritually to be "life changers" and "history makers" - to truly make a difference in the world. 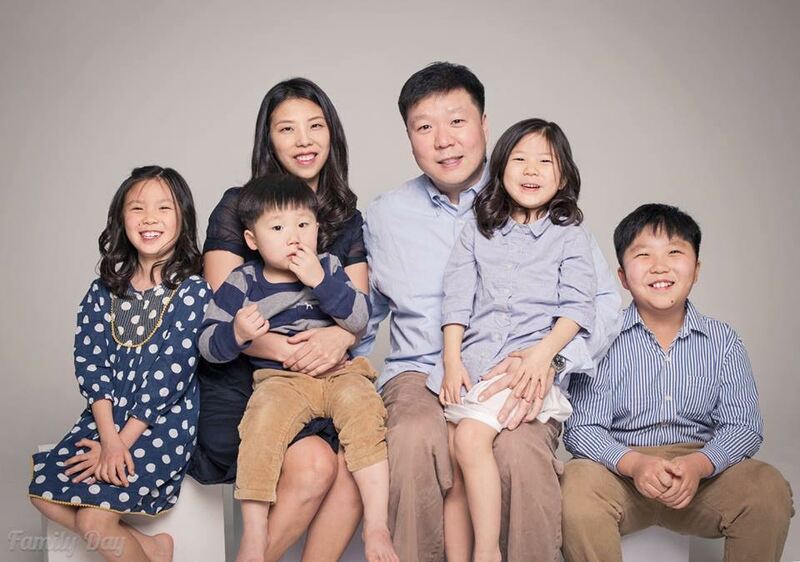 Michael Lee is the father of three GCFS students: Elijah, Rachel, and Ella. He has been serving as an associate pastor and overseeing the college ministry at Onnuri English Ministry since 2009. Although he was born in Detroit, Michigan, his family moved to Chicago when he was just 2 years old, so most of his entire childhood was spent in Chicago. 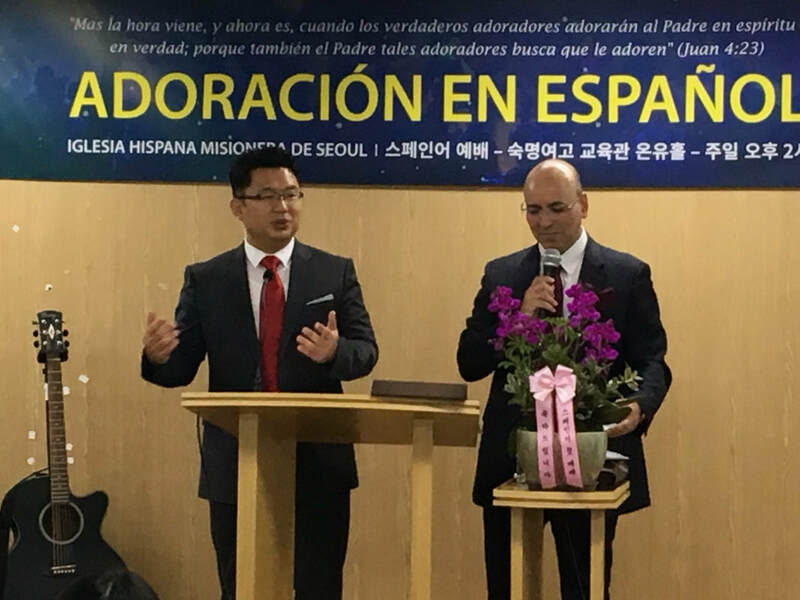 After serving as a youth pastor for 11 years, he moved to Korea because of his heart for missions. Growing up my parents were very loving and supportive of me and my older brother, but we also had our struggles and trials as a family. My mother was the one who faithfully brought my brother and I to church every week. When I started attending the youth group in 7th grade I had an encounter with God that radically changed my life. I was fortunate enough to have a lot of spiritual mentors who discipled me and really invested into my life at an early age. For a long time I denied my calling into ministry, but it wasn’t until my second year in college where I felt that I couldn’t run away from it any more. Upon graduating from the University of Illinois at Urbana Champaign I decided to be a missionary for three years (1998-2000) in Guam before enrolling into seminary. It was there where I met my wife in 2000 and it turned into a long distance relationship until we got married in 2003. Now we have 4 children, Elijah (2004), Rachel (2006), Ella (2010), and Ezekiel (2012). When my wife and I were deciding on what school to send our kids it became obvious to us that our kids will be in the best hands at GCFS. What we love about the school is that our kids receive special attention from their teachers and they develop a great relationship with them. We don’t just see them as teachers, but they are family to us. Last year, when my wife broke her arm we received an overwhelming amount of love and support from the teachers and staff at GCFS, which we are eternally grateful for. GCFS not only provides an education for our children, but they are also committed to raising spiritual, Christian leaders, and it’s evident when I see my kids share with me their memory verses, prayer requests, and lessons they’ve learned in chapel. I see GCFS as a partnership in helping to raise my kids in a godly, spiritual environment as well as excelling in their education. We’re so thankful that God has allowed us to send our children to such an amazing school! We love GCFS! Solnamoo Song is a father of two GCFS students, Soleaf and Solomon Song. A world class flutist, Song is a graduate of Juliard School of Music and Lausanne Conservatory, and he has held several performances at the Carnegie Hall and the Lincoln Center. He is also a goodwill ambassador for World Vision and Japan International Food for the Hungry. 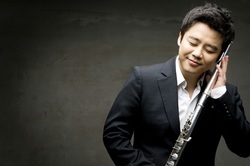 But above all, he is dedicated to spreading the gospel through his music and his talents as a flutist. Hello, my name is Solnamoo Song (송솔나무). I'm a flutist. I travel around the world and I've performed in over 90 different countries. I've also produced original soundtracks for numerous Korean dramas.